This is a great looking piece of New Jersey history. 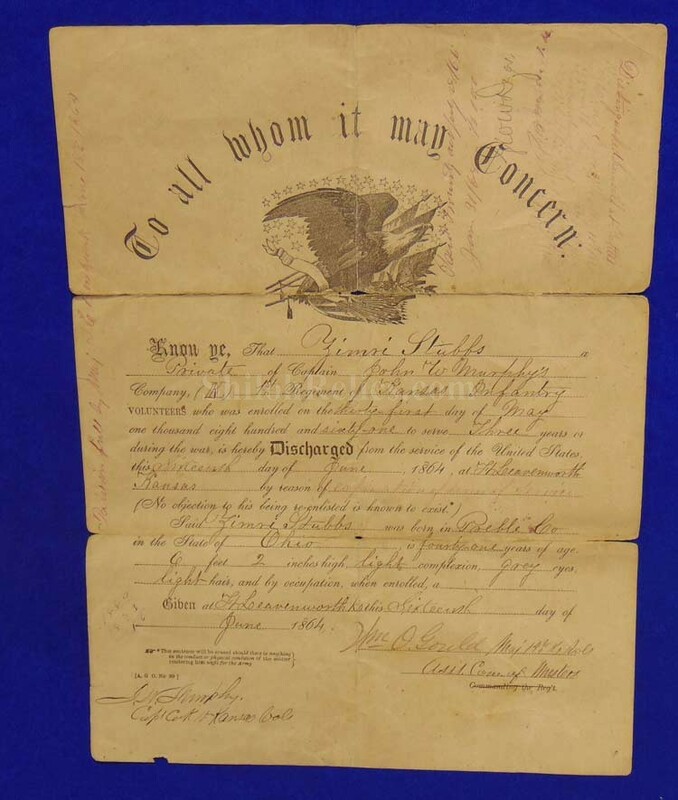 This is the discharge paper given to a soldier when they were mustered out of service. 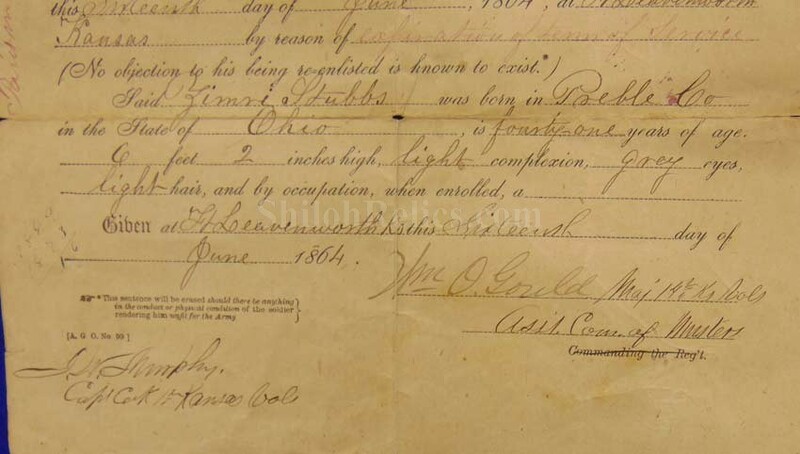 This one is dated June 16th 1864. 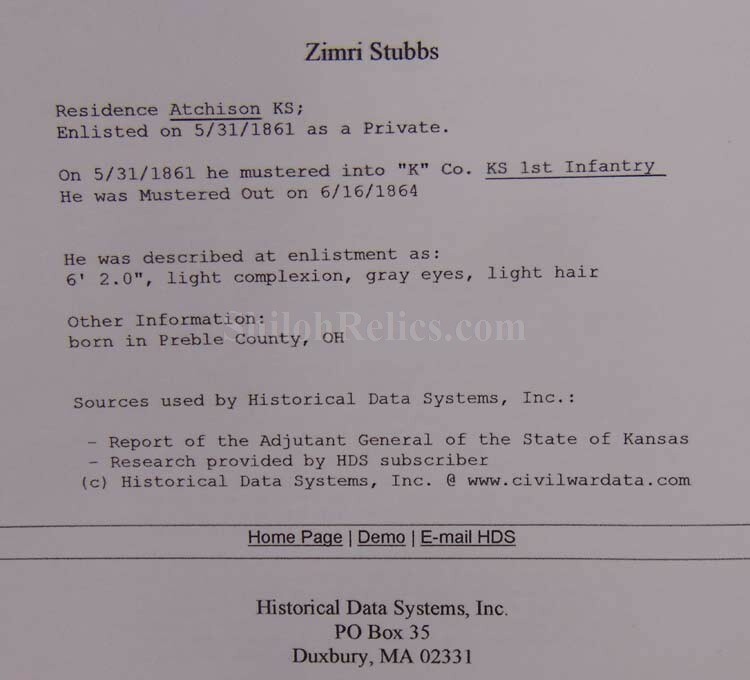 It is discharging Zimri Stubbs at the rank of Private of Company K of the 1st Kansas Infantry. 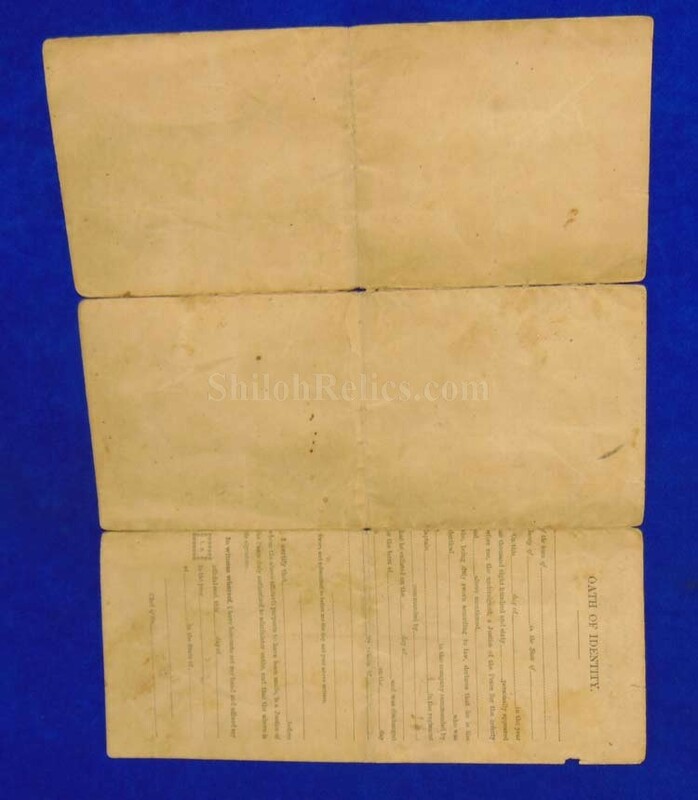 The piece is on beautiful preprinted paper and has the blanks filled in with fine Brown ink. 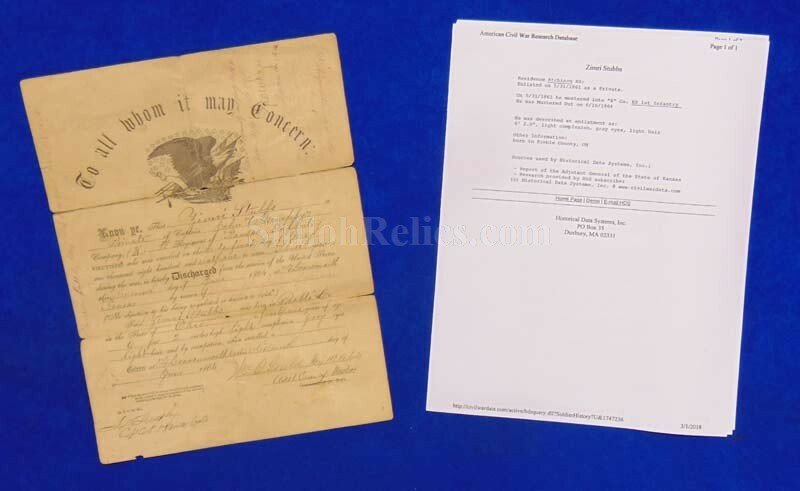 The document measures 8 1/2 inches wide and stands 11inches tall. It has the eagle image in the center and top. 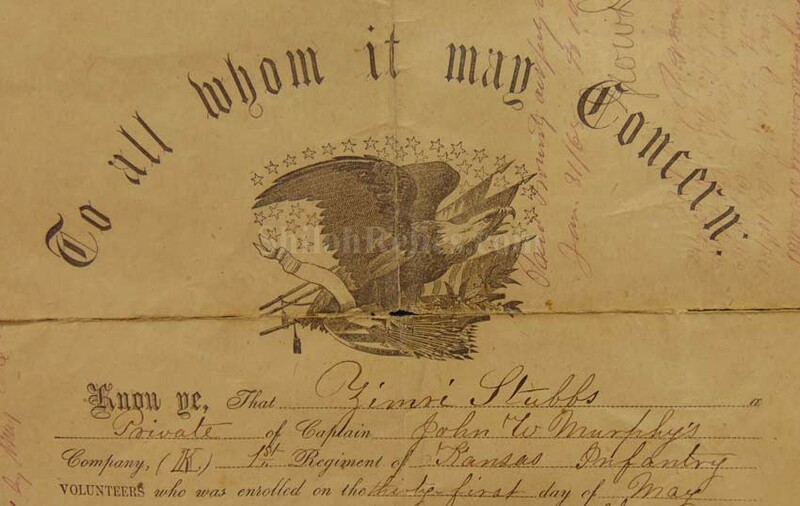 The records show that Curran enlisted on May 31st 1861in the 1st Kansas Infantry. He served with this regiment until June 16th 1864 when he mustered out. 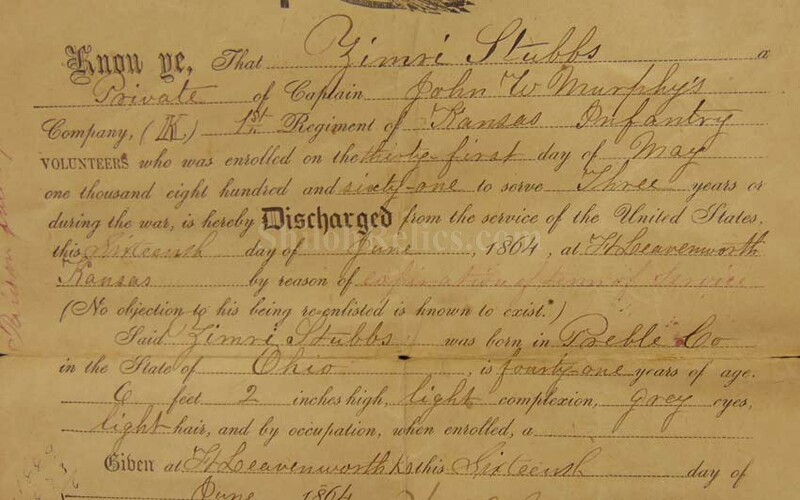 A brief printout of Stubbs' service as well as that of the 1st Kansas Infantry will accompany the document at no additional charge.